Britain's Energy Secretary, Amber Rudd, arrives to attend a cabinet meeting at Number 10 Downing Street in London. Comments seen as scare tactics by a UK government nervous over referendum. The UK Secretary of State for Energy and Climate Change Amber Rudd has been accused of scaremongering after she warned that EU membership protects British energy imports from interference by Russia. Rudd, who actively supports Britain’s attempts to remain in the EU came under fire after stating that Gazprom is used by the Russian government as a foreign policy tool. This comes on the eve of the June 23rd referendum, which will decide the UK’s fate. Rudd’s comments contradict figures showing that Gazprom provides less than nine percent of overall gas imports to Britain, a third less than the company provides to the EU. The Russian Embassy in London has lambasted the minister and questioned why Russia was being dragged into a domestic debate on the UK's future in Europe. It added that Russia’s exports to Britain are not large enough to have a significant impact in the unlikely event that supplies from European pipelines are affected. In a statement the Russian Embassy said that the minister's comments were “surprising and disappointing” as Russia's supply to Britain is “relatively small.” It also noted that the UK's energy market is “one of the most diversified in the world” and that Russian supplies would not have any effect on energy security. The latest figures from the UK’s Department for Energy and Climate Change show that 93 percent of natural gas imports in 2015 came from Qatar. In the same report Norway was the biggest exporter of gas to the UK, while other energy imports came from the Netherlands and Belgium. The data reveals that the UK's reliance on Russian energy is negligible. “Russian gas comes to the UK through continental Europe, therefore the Brexit could have quite the opposite effect, with a potential increase in UK’s dependence on the LNG (liquefied natural gas) supply from Qatar,” says a Russian Embassy representative. Brexit is the slogan popularly associated with the referendum. 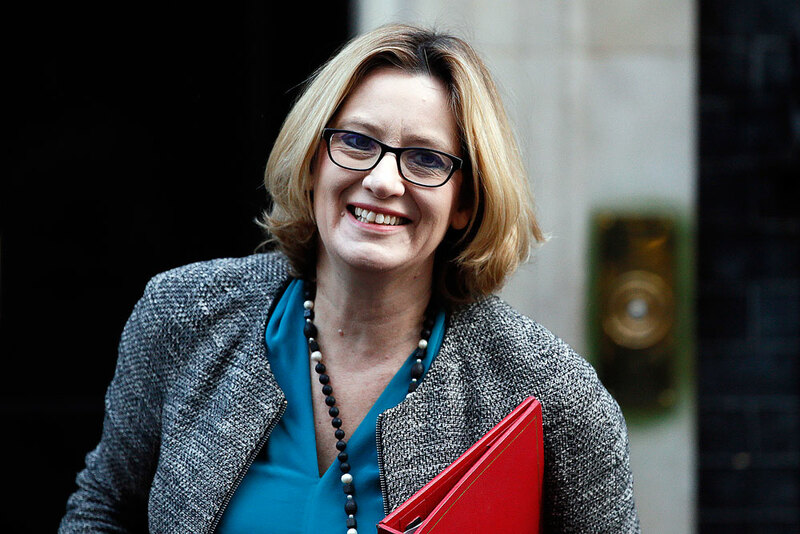 Leading pro-Brexit campaigners have also criticized Rudd for injecting misleading information into the debate on whether or not Britain should leave the EU. "[Russia] does not have the power to switch off the lights in Britain, as the Energy Secretary implies," says Alex Deane, the executive director of the Grassroots Out Movement, an organization in favor of the UK’s withdrawal from the EU. Other campaigners have also criticized the minister’s words. In an interview on BBC Radio 4 after her speech, Rudd acknowledged that in fact “very little” Russian gas was imported to the UK. Her comments come as figures show that the UK currently produces 56 percent of the gas that it uses. This is expected to fall to 26 percent by 2030. Gazprom recently signed a new deal with Centrica, the owners of British Gas, to double its exports to the UK to 4.2 billion cubic meters (bcm) each year, up from 2.4 bcm. The agreement, signed with Gazprom’s UK subsidiary, protects Britain’s imports as the company sources some of its supplies from outside of Russia. Britain is due to vote in a referendum on June 23 on whether to stay in the EU. The upcoming decision has divided public opinion with both sides claiming the country will be better off. Rudd’s comments are part of a government-backed campaign for Britain to stay in Europe. “It is quite extraordinary the extent to which the government is willing to do down Britain in its desperate attempt to win the referendum,” Elliott is cited as saying in UK's Guardian newspaper. Elliott’s comments come as the UK government has been accused of telling ministers to repeat “scare” stories to shock the public into voting to stay in the EU in the upcoming referendum. Daniel Cinna runs @Twiplomat, reporting on relations between Russia & Britain. His followers include Ambassadors, Diplomats & Embassies from around the world.